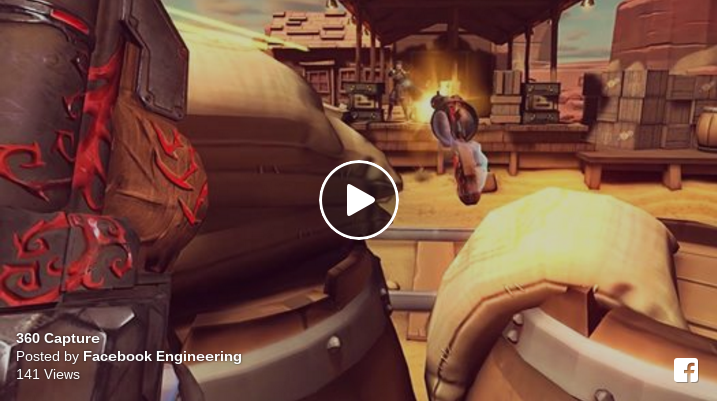 Soon, you will be able to do a 360-degree screen recording for VR games, thanks to the 360 Capture SDK just released by Facebook at F8! One of the things I’ve lamented about VR is how difficult it is to convey what it’s like to be in VR. Until now, YouTube videos of VR games have only shown the user’s point of view, making it look like a clip from Blair Witch Project. Although 360 videos of games are still not the same as being in VR, they’re at least one step closer, hopefully helping people to understand a little better what VR is like. I’m really looking forward to seeing games add this capability!